Sentenced to 20 years by the Appeal Court in Salé in 2017. Bachir Elaabed Elmhtar El Khadda was born on 26 October 1986 in a Saharawi family living in Tan Tan, a town in the south of Morocco, close to the Western Sahara border. 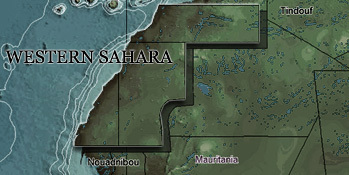 He went on to live in El Aaiun, the capital of Western Sahara. 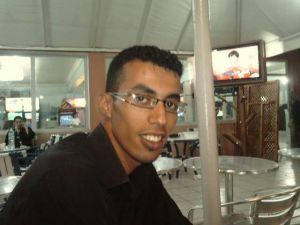 Bachir is a member of the Saharawi Observatory for Human Rights in Western Sahara. When he was 21, he was arrested and thrown in prison to serve a ten-month prison sentence for having participated in a Saharawi pro-independence demonstration. He finished his A-levels while in prison. On 5 December 2010, Bachir was arrested in café Las Dunas in El Aaiun, where he was enjoying tea with Hassan Dah and Mohamed Tahlil. All three men were taken to the police station. Khadda says not to have been tortured, but says he was blindfolded and handcuffed throughout his detention. Khadda was condemned to 20 years in prison by the Court of Appeal in Salé, and found guilty of participation to murder of public officials in their line of duty, with intent to kill. Khadda declared that he was not present in the camp on the morning of the 8th of November, and urged that he did not commit the crimes accused of; and that the police records used as evidence against him was falsified and signed under torture. During his declarations to the Appeal Court of Salé, Khadda invoked the fourth Geneva Convention, and declared that a Moroccan courthouse had no competence to judge him. The sole piece of evidence proving and describing the acts committed by Khadda is the said police records. Bachir is currently studying to obtain a law degree from behind bars.